Project Shine started off as a Sainik School Kazhakootam Alumni initiative in 2015 to train 25 children from Attapadi tribal area in Kerala to appear for the All India Sainik School entrance test. It envisages a simple, yet powerful initiative that brings social progress through education in an innovative manner. 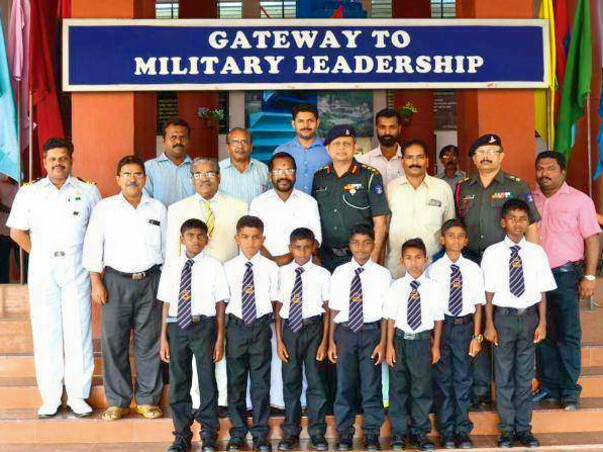 The effort resulted in the admission of 7 kids from the area to Sainik School Kazhakootam in June 2016. Seeing the transformative effect of the initiative amongst the tribal families of the area, The Government of Kerala came forward to fund 1/3rd of the project costs if the project could be extended to the 2nd year for children. The Kerala State Government has included the project in the Green Book and it is part of the “Promotion of Education Among Scheduled Tribes (P)" project. 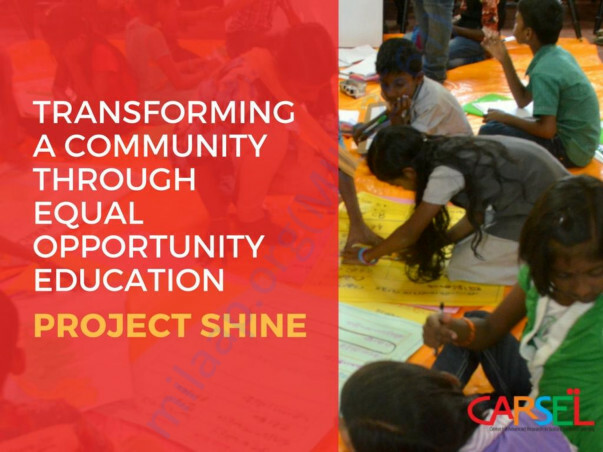 Therefore, the Project Shine was scaled up to train 100 children (60 % girls) for Sainik School as well as Navodaya Vidyalala in 2016. The project is being implemented by the Kazhaks 91 Foundation in coordination with CARSEL (an equal opportunity education consultancy). The students are coached for the entrance exam using the Socio- Emotional Learning (SEL) approach with inputs in mathematical knowledge, language ability with reasoning and logical abilities. The training classes were held on all Saturdays and Sundays for a total of 300 hours, from the first Saturday of July 2016 till the last Saturday of April 2017. Teachers and training inputs along with meals are medical checkups are provided at the Centralised Training Centre in Attappady Hill Area Development Society (AHADS) building in Agali. Using the Socio-Emotional Learning (SEL) approach has motivated the parents to have an emotional investment in the project, and this has translated into encouragement and support for the children. The involvement of the alumni and their families has created a sense of belonging amongst the children and meeting successful alumni from various professions on the training days has been a motivating factor for the children. This year, 12 students have cleared the Sainik School entrance test and are awaiting final results after the interview/medical test stage. The students have also appeared for the Navodaya Vidyalaya entrance exams to Class VI for the Academic Year 2017-18. So far, the government has met the funding promised but the project is facing a short fall of Rs. 20 lakhs which is to be raised from private individuals. Kindly spread the word - to your family, friends, and community. Your contributions will go a long way in empowering a community through equal-opportunity education. My best wishes for the future of these children.